Gemma brings over a decade of combined Costs experience to MRN. Having been called to the Bar in October 2006, Gemma deals with vastly complex and high value matters in her role as Senior Costs Draftsman and Advocate. Her breadth of experience practicing as a Barrister prior to MRN has heightened Gemma’s specialisation in advocacy. With her fierce fighting spirit, she refuses to settle for anything less than the best for her clients. Her profound mantra of “fail to prepare, prepare to fail” shines brightly in all of her work as she meticulously reviews each case until she knows it inside out. Her advocacy triumphs are of abundance and include Privy Council hearings and Detailed Assessments. Gemma was most recently involved in a matter at the Judicial Committee of the Privy Council regarding a highly complex and unusual property dispute claim concerning units in a condominium complex in the Bahamas involving multiple claimants. Although the damages were settled for a relatively low amount, the costs associated with the matter were extensive and required a comprehensive understanding of Bahamian costs procedures. In two very recent Clinical Negligence cases, the Defendant sought an oral review of everything following prior Provisional Assessments. In both Oral Hearings, Gemma was successful in having the Court stand by every decision made at the Provisional Assessments with nothing reduced. 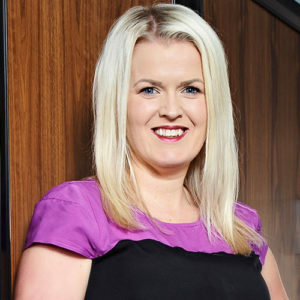 Beyond her advocacy role, Gemma is also involved in preparing Costs Budgets, Bills of Costs, Points of Dispute and Reply and engaging in negotiations. Furthermore, as a result of her profuse feats, Gemma travels the country to host seminars on behalf of MRN, sharing her timely insights and expertise on legal developments within each sector. Similar to her advocacy style is her approach with clients. She prides herself on honesty and open communication, taking the time to build trusting relationships with her clients. By doing so, Gemma is able to discover what is important to each client to tailor her approach to match their individual needs and genuinely prove that their costs are being staunchly fought for. Gemma has many accomplishments, but her advocacy successes are amongst some of her proudest. Recently, she successfully managed to have a Bill of Costs increased after winning on all 12 points of a matter at an Oral Hearing! On another occasion at an Oral Hearing, the Defendant sought review of every court decision from the provisional assessment. Not only did Gemma succeed on having all decisions made in the client’s favour, but one of the objections related to a hefty ATE premium which was her opponents core specialisation! Outside of the bustle of the office, Gemma is kept on her toes by her 2-year-old boy! If she can find a spare moment, you’ll find her with her family in North Wales, perhaps with a glass of wine in hand!